The turkeys are getting lovely and plump, which means we are accepting deposits for your Thanksgiving bird. 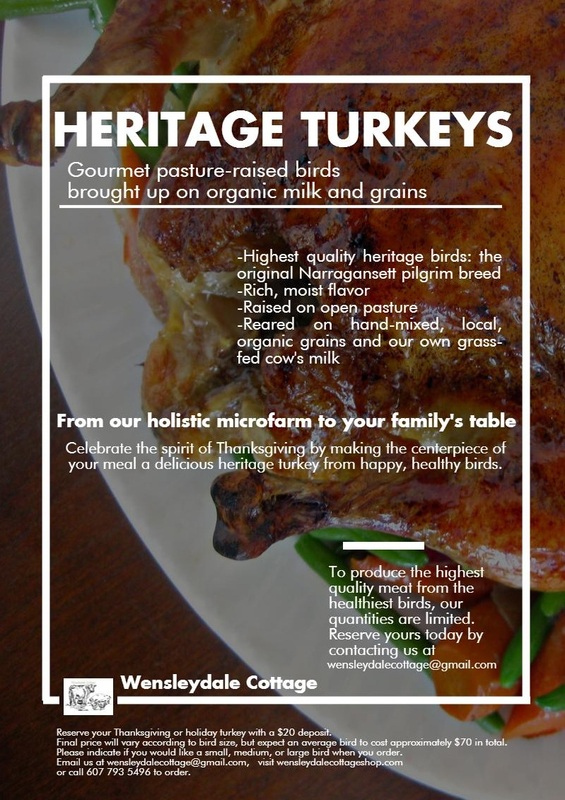 To order, please email us at wensleydalecottage@gmail.com with your name, phone number, and address, and we will send you details on how to reserve your bird. A $20 deposit will be required. Thank you for helping us preserve these magnificent heritage breeds, and put some real flavor back into this Thanksgiving staple! Next Next post: Meet Nellie!